Gilbert 8 day dome top mantle. 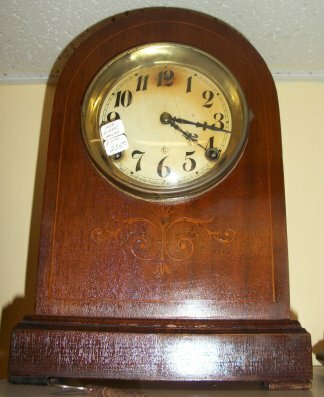 The front has inlaid wood, the face is celluloid. 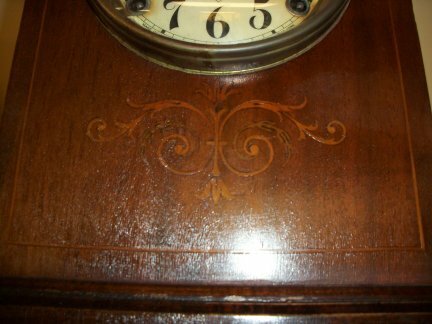 Close up view of inlaid wood front.